Abaris Training Resources Inc. is proud to have such a dedicated team of employees committed to offering the highest level of service and knowledge in the field of advanced composite training! 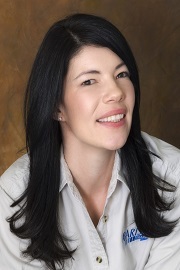 Erin assists the office manager in the everyday operations at our Reno, Nevada headquarters, and by providing customer service to clients worldwide. Erin originally went to college at John Paul the Great Catholic University in Escondido, CA to pursue a degree in video game design. Her previous background includes years of customer service experience in office management within local in school districts, retail customer service, and managing events for various organizations she has been a part of over the years. She is a hard-working and quick-learning Abaris team member who strives to provide excellent customer service and office efficiency. 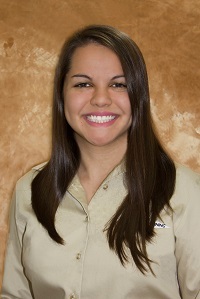 Erin assists customers and students with anything they may need; including invoicing, payments, enrollments, and even suggestions where to dine or sightsee in the local area. Michael J. 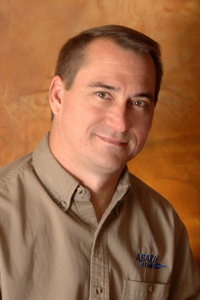 (Mike) Hoke has been the President and owner of Abaris Training Resources, Inc., since 1990. He formed a partnership with the founder of Abaris, William L. Murphy, in 1989, and became the sole owner after Mr. Murphy’s passing in 1991.He became involved with composite structures in the late 1960s, initially through the world of high performance European sailplanes. 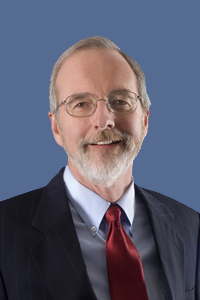 He has been teaching composite material workshops since then, and has personally instructed thousands of students in advanced composite and related technologies.Mike is a member of the Society for the Advancement of Material and Process Engineering (SAMPE) and the Society for Automotive Engineering (SAE). He is also a member of the Training Task Group of the Commercial Aircraft Composite Repair Committee (CACRC), which is a group co-sponsored by IATA, ATA and SAE. Lou has been working in the advanced composites industry since 1978. He has been associated with Abaris since 1983 and has been employed by Abaris Training since 1989. 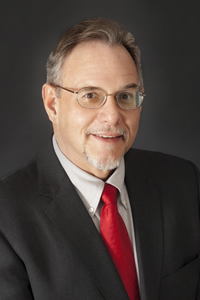 Lou is Abaris’ composite materials and process specialist.His background includes over 35-years of experience in composite materials research and development, manufacturing engineering, material and process engineering, tool design and tool fabrication. His work in aerospace composites include such programs as the Lear Fan 2100, Beechcraft Starship 1, B-2 bomber, C-17 transport, MD-11, Boeing 777, and the Airbus A-330/340 to name a few. He has also been involved with a number of non-aerospace programs in the motorsports, marine, sporting goods, and wind energy industries.Lou has been a professional member of the Society for the Advancement of Material & Process Engineering (SAMPE) since 1982, the Society of Manufacturing Engineers (SME) since 1997, and the Society of Plastic Engineers (SPE) since 2014.Lou is co-author of the Abaris textbook titled “Essentials of Advanced Composite Fabrication & Repair,” published by Aviation Supplies and Academics, Inc. (ASA)-2009. Lou has been working in the advanced composites industry since 1978. He has been associated with Abaris since 1983 and has been employed by Abaris Training since 1989. 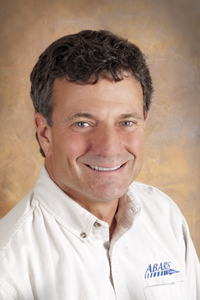 Lou is Abaris’ composite materials and process specialist.His background includes over 35-years of experience in composite materials research and development, manufacturing engineering, material and process engineering, tool design and tool fabrication. His work in aerospace composites include such programs as the Lear Fan 2100, Beechcraft Starship 1, B-2 bomber, C-17 transport, MD-11, Boeing 777, and the Airbus A-330/340 to name a few. He has also been involved with a number of non-aerospace programs in the motorsports, marine, sporting goods, and wind energy industries.Lou has been a professional member of the Society for the Advancement of Material & Process Engineering (SAMPE) since 1982, the Society of Manufacturing Engineers (SME) since 1997, and the Society of Plastic Engineers (SPE) since 2014.Lou is co-author of the Abaris textbook titled “Essentials of Advanced Composite Fabrication & Repair,” published by Aviation Supplies and Academics, Inc. (ASA)-2009. 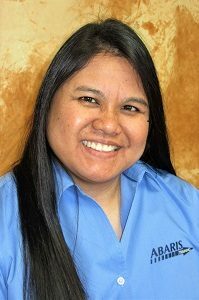 Michelle is an innovative and driven Abaris team member, besides handling our accounting, she often assists with the office administration and customer service. She is always up for a new challenge and ready to tackle it with enthusiasm.Originally from Sacramento, CA, Michelle’s background includes a 7-year tenure with Raley’s Supermarkets, where she worked in customer service, bookkeeping, and office administration. Today, Michelle uses this experience to keep Abaris running smoothly and efficiently. Our customers and clients can rely on Michelle to assist with questions they may have with invoicing, billing, payments, etc. Michelle is an innovative and driven Abaris team member, besides handling our accounting, she often assists with the office administration and customer service. She is always up for a new challenge and ready to tackle it with enthusiasm.Originally from Sacramento, CA, Michelle’s background includes a 7-year tenure with Raley’s Supermarkets, where she worked in customer service, bookkeeping, and office administration. Today, Michelle uses this experience to keep Abaris running smoothly and efficiently. Our customers and clients can rely on Michelle to assist with questions they may have with invoicing, billing, payments, etc. Katherine Mello Mrs. Mello is the newest addition to our Reno, NV team, having recently accepted the position of Office Manager. Katherine works alongside our Office Administrator to ensure the office is running smoothly. Previously, Katherine worked as a Human Resources Secretary for Modesto Rehabilitation Hospital, Payroll and Insurance Clerk for Modesto City Schools, and most recently as a Customer Service Supervisor for the United States Postal Service at the Reno Sierra Station location in Reno, NV. An asset to the Abaris team, Katherine’s experience and knowledge makes her uniquely qualified to assist students, vendors and our staff in everyday business affairs. Please feel free to contact her for assistance and she will make every effort to ensure your training is a success and that all of your needs are met. Dave is a 1980 graduate of Aviation High School in Queens, NY, where he earned his Airframe and Power plant (A&P) certification. In his senior year, he was hired by Lockheed and after graduation relocated to Burbank California and worked at Lockheed’s “Skunk Works”. In 1984 Dave moved onto Tracor Aviation in Santa Barbara, California performing work on American Airlines DC-10’s. A short time later he accepted a position with United Airlines Maintenance facility in San Francisco. There he worked as both as a sheet metal and composite repair technician. It was here where he started his future in composites.In 1991, he began teaching composite structural repair courses for United. He has taught repair technicians worldwide throughout United Airlines maintenance system. 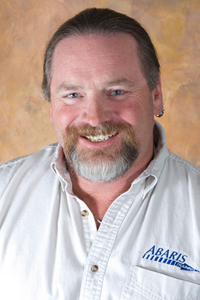 In the spring of 2005, Dave left United and joined the Abaris Training team, based out of our Reno, Nevada facility. Here he held a position of Technical Instructor for a couple of years before earning Chief Instructor, where he supervises our entire staff of technical instructors. A few years later he has reached the position of Operations Manager along with Chief Instructor. With 30+ years of extensive industry knowledge and experience, Dave offers his unique talents and skills to both our students and members of our staff.Dave is a Professional Member of the Society of the advancement of Material and Process engineering (SAMPE). He is also involved with the Society of Automotive Engineers (SAE) since 1993 working with the Commercial Aircraft Composite Repair Committee (CACRC), where he was a past chairman of the Training Task Group (A sub-group of the CACRC). His duties included working with the industry to develop standards for aircraft composite repairs. He is also a member of the Advanced Materials in Transport Aircraft Structures (AMTAS).Dave has been awarded the prestigious NCATT “Senior Instructor” certification for “Instructor Specializing in Aircraft Structures and Composites”. 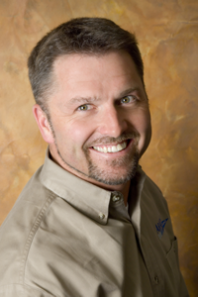 He also is recognized as a CertTec® “Basic Composites Examiner” (CTE) Authority. 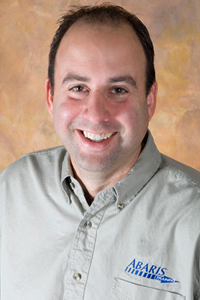 Michael Meringolo came to Abaris Training in 2008 with over 27 years of composite experience. He began working with composites in the 80’s fabricating sand rail bodies using glass-fiber mat & polyester resin materials and construction methods.Kit Planes soon took his interest, as he went to work for an independent builder fabricating different aircraft from Burt Rutan’s Long EZ to the Lancair IV pressurized aircraft.In 1997, he began working exclusively at Lancair Kits in Redmond, Oregon. After a year of building gear-boxes for the Lancair kits, he transferred to the certified side of the company working primarily in Research and development for primary structures of this new high performance all composite four seater aircraft, building static and fatigue test articles, dealing with all testing and paperwork concerning certification of the aircraft. During this 13 years Michael took a short detour during his career to Scaled Technologies in Montrose Colorado, then quickly returned to Columbia Aircraft Manufacturing spending the next few years as their composite shop Production Manager.Through this experience, Michael gained knowledge in many areas of composites; from part-model and plug fabrication, to mold making, prepreg and wet lay-up, resin infusion, trimming & machining, surface preparation, composite bonding, and finishing. Michael’s background also includes lessons in composite theory and actual structural repair from his time with Lancair/Columbia (now Cessna). He was involved with the Lancair Tigress concept aircraft, the Legacy, as well as the evolution of the Columbia 300/350 and 400 models (now known as the Corvalis and Corvalis TT.Mr. Meringolo is a Professional Member of the Society for the Advancement of Material and Process Engineering (SAMPE). He has been awarded the prestigious NCATT certification for “Instructor Specializing in Aircraft Structures and Composites.” Michael also holds Industry-recognized CertTec® “Basic Composites Examiner” (CTE) Authority. 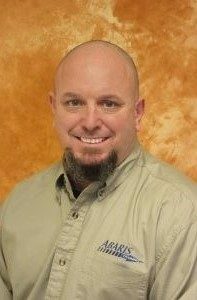 William F. (Bill) Kinard, Jr. has been with Abaris since 2002, having previously worked for 12 years as an Aircraft Structural Technology Instructor at various Technical Colleges in middle Georgia that were associated with Robins Air Force Base in Warner Robins, Georgia. At these colleges, Bill taught courses in sheet metal, composite fabrication, composite repair, and metal bonded repair technologies. Before he became an instructor, his background included five years of experience working in the Metal Bond and Advanced Composites Department at Robins AFB, Georgia with the F-15 Eagle and C-141 aircraft. He worked on both the metal bonded C-141 components, and the advanced composite graphite and Boron components on the F-15.In October 2011, Bill became a certified Senior Instructor through the National Center for Aerospace and Transportation Technologies (NCATT) certification process. Lloyd started his Aviation career in 1994 when he joined the U.S. Army, stationed at Ft. Campbell, KY with D Co. 2/160th (SOAR) working on MH-47E Helicopters, mostly repairing old rotor blades. After completing his service in 2000, Lloyd assisted the Dutch Royal Airforce with their new Chinooks. After 7 years of working with the Dutch, he took a job with Northrup Grumman on their MQ/RQ-5 “Hunter” UAV system, where he was the lead of the MOD/Revitalization team. It was here that Lloyd started teaching composite field repairs on structures while writing the repair manual for that system. Also, at Northrup Grumman, Lloyd worked on the MQ-4C “Triton” system, implementing composite changes and repairs to that system. In 2014 he moved on to Icon Aircraft where he took over the Composite Structure Bonding (CSB) Shop, where the team bonded together a 350 plus, fully composite A5 aircraft. In 2017 Icon moved to Mexico where Lloyd helped set up the shop to produce 1 aircraft every 2.5 days. Finally, before starting with Abaris in January 2019, Lloyd was the production manager with Volans-I, manufacturing 3 different composite unmanned vehicle systems. Lloyd brings much knowledge and skills to Abaris and is slated to teach both manufacturing and repair curricula for many years to come. Greg has a Master of Science degree in aeronautical engineering from the United States Naval Postgraduate School, Monterey, California. His graduate studies emphasized composite finite element analysis, and composite failure criteria.Currently, Greg is the vice-president of Top Flight Aerostructures, Dallas, Georgia. His company provides engineering services and replacement parts for aircraft repair, overhaul, and new design. As the former Lead Composite Structural Engineer for Delta Airlines, he is intimately familiar with all aspects of composite structural analysis and repair design, laminate analysis, and mechanical testing with composite materials. Greg teaches many Abaris engineering courses, including our Aerospace Repair Analysis and Substantiation, Composite Laminate Analysis, and Advanced Aerospace Repair Analysis and Substantiation courses. In addition, Greg dedicates much of his time to the research and development of new methods for composite & bonded joint analysis, mechanical testing, and structural fabrication. His personal interests include experimental aircraft and computer/mechanical automation.Greg is on the Composite Materials Handbook (CMH-17) coordination committee, working with the Adhesives, Supportability, and Damage Tolerance workgroups. He served on the Commercial Aircraft Composite Repair Committee (CACRC) of the Society of Automotive Engineers (SAE), and initiated the Composite Repair Analytical Techniques task-group. Mr. Jones has over 35 years working in NDT in engineering, inspection, and technical sales. His knowledge spans the following industries: Aerospace, Automotive, Utilities, Petrochemical, Mining, Pulp/Paper and General Industrial. Recently, he has gained more experience with composite materials through contracts with Lamborghini, Scaled Composites, two America’s Cup teams, Erickson Sky Crane and others. In early 1983, the Garrett Turbine Engine Company (now Honeywell) hired Randy. While at Garrett, he performed research and development on automated inspection systems for new high-speed rotating engine components. In 1985, Krautkramer hired Randy as a Technical Sales Engineer to sell and support industrial ultrasonic (and later eddy current) equipment.In 1991, Mobile Inspection employed Randy at the San Onofre Nuclear Generating Station to support their erosion/corrosion, turbine and balance of plant inspection projects. In 1996, Randy returned to selling Krautkramer instruments with a greater knowledge of how to support his customers. Inspection Technologies, Inc. (ITI) became the manufacturers’ representative for Krautkramer (now GE) in 2001. At that time, Randy joined the staff at ITI, for which he continues to work to this day. 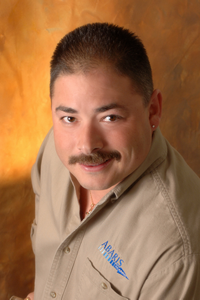 Randy is an ASNT certified Level III and now a part time consultant, teacher and NDI/NDT engineer for Abaris Training Resources, Inc. in Reno, NV. Fernando V. Ricardo was born in Rio de Janeiro, Brazil in 1965. He graduated as an aeronautical engineer at Instituto Tecnologico de Aeronautica (ITA) in 1989. After his graduation he started his professional career as an airworthiness engineer at DAC, Brazilian Aeronautical Authority, in Rio.In 1992, Fernando moved to São Paulo for a position as Director of Maintenance, with SKYJET, a charter airline operating DC-10-30s. Fernando has vast experience in aviation, and has travelled around the world. In 2002 he became sales representative for Heatcon Composite Systems covering Brazil, when his experience with composites began.In 2009 he became Heatcon sales engineer for all of Latin America and in 2011, an Abaris Training instructor. 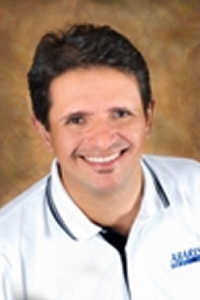 Fernando currently lives in Brasilia, DF, and is responsible for the Heatcon Abaris Latin America Training Center (HAL). Due to his trilingual skills, he is capable of teaching Abaris Training courses in English, Spanish or Portuguese.